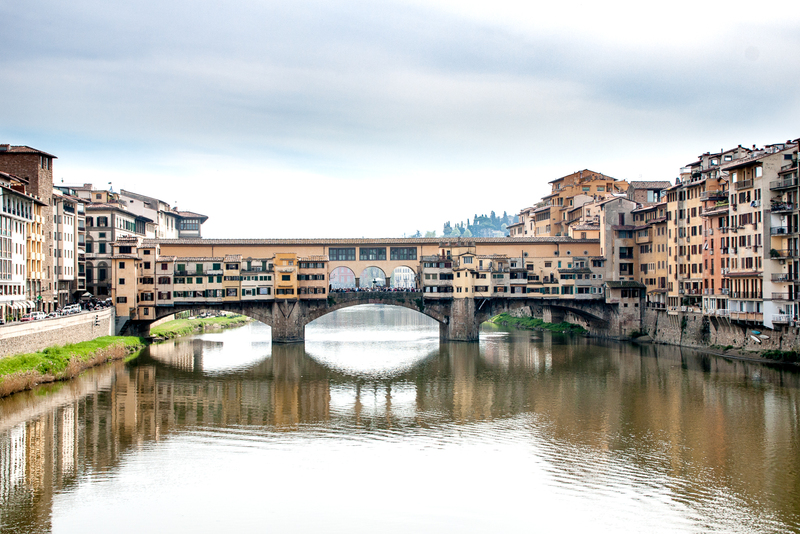 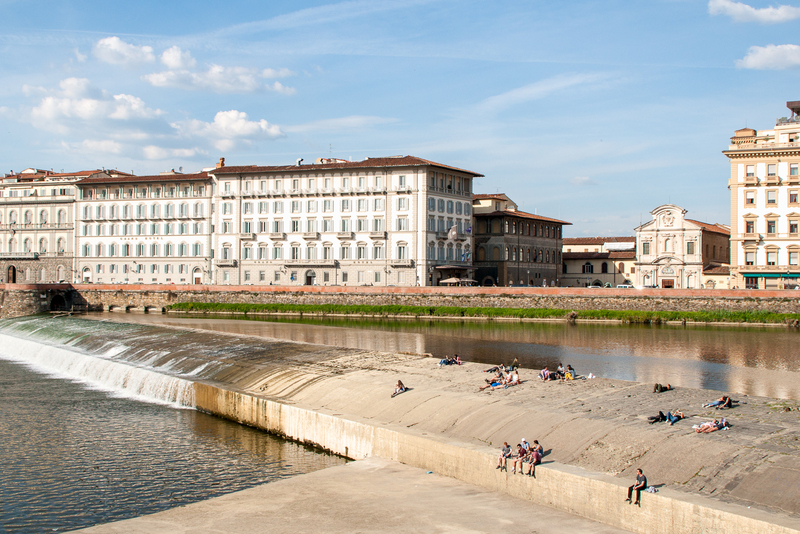 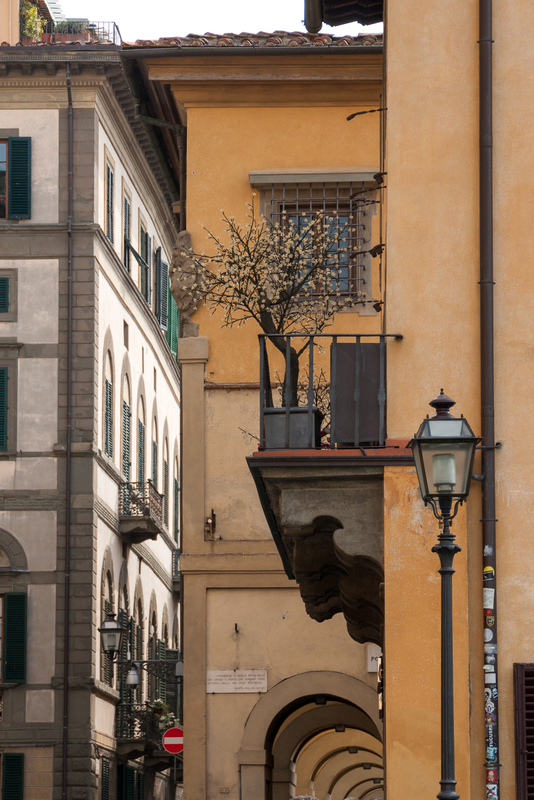 Ponte Vecchio joins the centre of Florence with the district of Oltrarno. 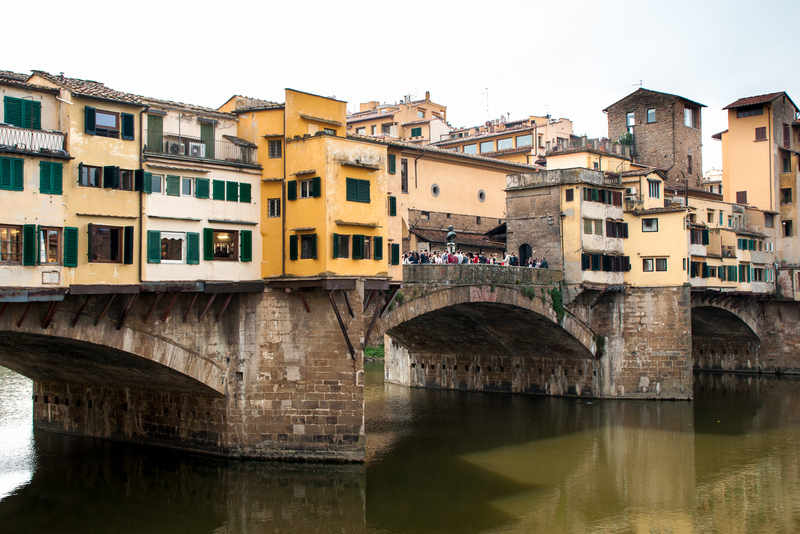 The name is not as romantic as it sounds – it literally means „old bridge“. Just say it as it is. 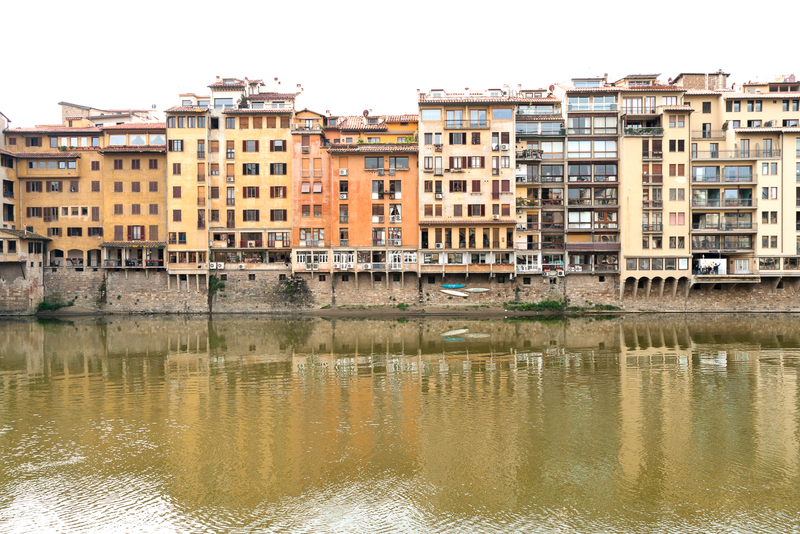 While your travel guide might point out all the wooden-shuttered goldsmiths’ shops on both sides of the path on the bridge, you will hardly see some of them. 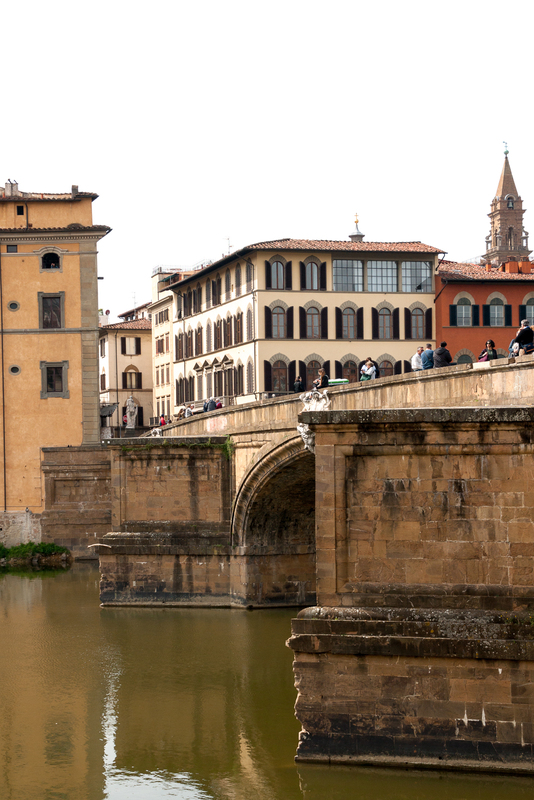 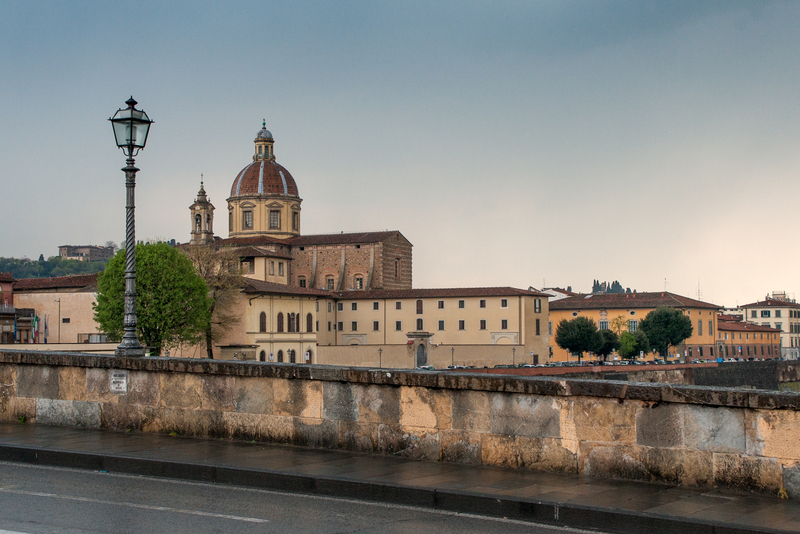 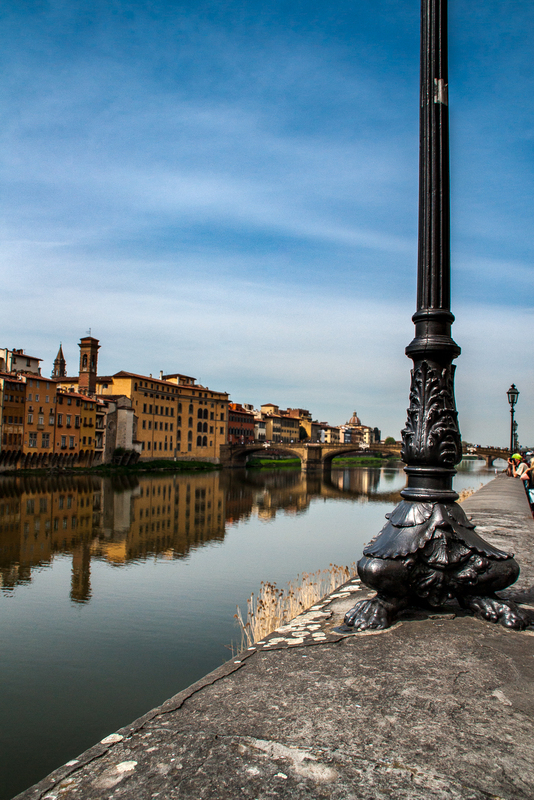 Over the bridge runs the Vasari Corridor. 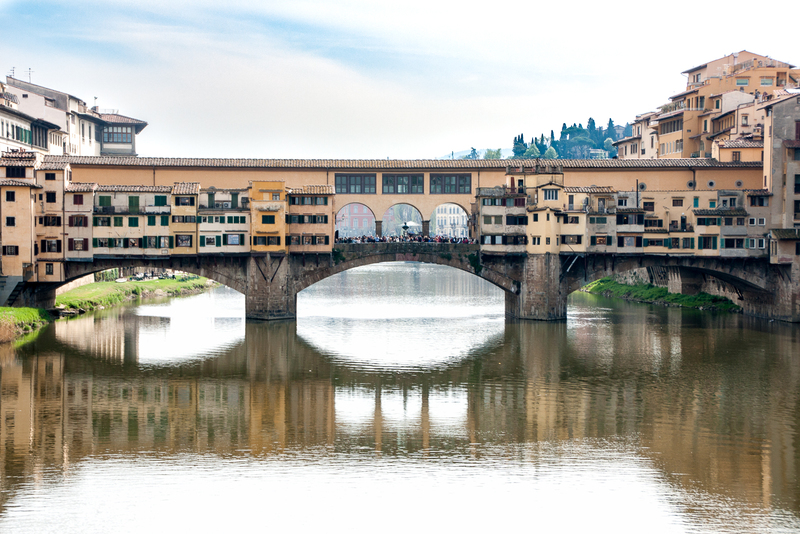 Which was a private walkway built for the Medici family, so they could move between the Palazzo Pitti and the Palazzo Vecchio safely. 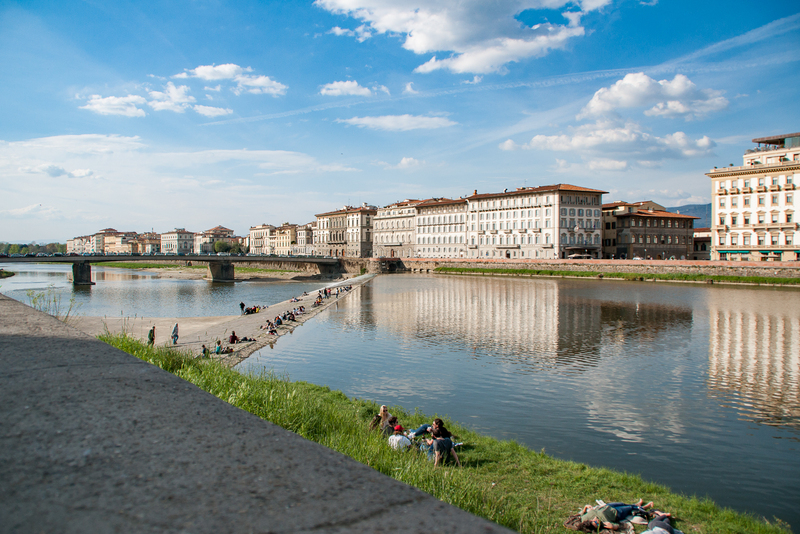 The Bridge and the riverside remind me a lot of Munich, the people like to rest on the dams and walls on the side and enjoy the sun.